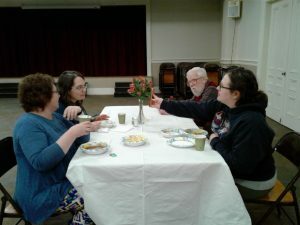 Family Games Night was a lot of fun! 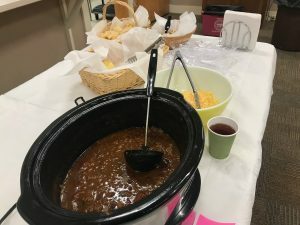 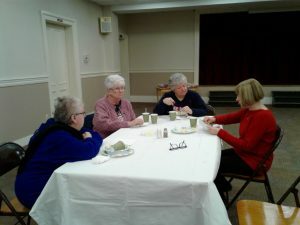 There were two kinds of chili and fish chowder; congratulations to Lorene Beach who won the chili cook off. 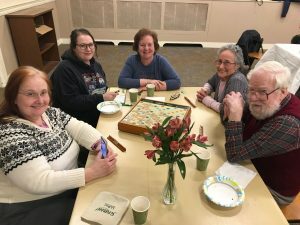 The folks playing Rummikub had so much fun, we’re going to have a Rummikub tournament. 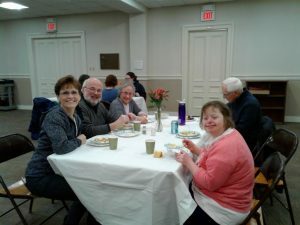 Stay tuned for more fellowship events!